Have you ever asked yourself “Am I depressed?” Most people have. While many people feel blue some of the time, for some, these feelings are more persistent and can have a lasting impact on their lives. This is depression, a physical disease like any other. Depression symptoms come in many forms. From mild to moderate to severe, depression symptoms come disguised as normal, everyday feelings. Unsure if these signs indicate you are suffering from depression? Your next step is to speak with your doctor. But there are some things you can do before getting an appointment. First, you’ll want to immediately download the free report, “Am I Depressed?” Treating depression symptoms, including bipolar and clinical depression, and seasonal affective disorder from University Health News. In this free guide, you’ll find depression tests to help you self-diagnose your condition before seeing a physician. These depression tests ask you questions about your energy and sleep; to evaluate your memory and concentration; to assess your appetite and much more. Following the completion of a screening questionnaire, your physician will likely continue with a physical exam and some lab tests. Which lab tests are most common? Are brain scans customary? Should you expect to undergo a sleep study? Find out in our free report, “Am I Depressed?” Treating depression symptoms, including bipolar and clinical depression, and seasonal affective disorder. There are dozens of internal and external factors that can produce changes in the brain, leading to depression. The triggers range from stress and illness to lifestyle and medications. Stress is actually a good thing . . . in the appropriate amounts. But what happens when you’re under too much stress? And suffering from a chronic disease can definitely bring on bouts of depression but did you know that the research is now pointing to depression itself leading to chronic illnesses like heart disease? If you’re depressed, you often have difficulty getting out of bed and taking proper care of yourself but poor lifestyle habits can also lead to depression. Find out how your sleep routine and food and nutrition choices can reduce your depression risk. Download “Am I Depressed?” Treating depression symptoms, including bipolar and clinical depression, and seasonal affective disorder now. What are your depression symptoms telling you and your doctor? A diagnosis of depression can range from mild, infrequent occurrences like seasonal affective disorder (SAD) to severe bouts of bipolar and clinical depression. An onset of seasonal affective disorder is usually tied to the change in seasons. Winter’s lack of sunlight, disrupts your body’s circadian rhythm and causes mild, but temporary type of depression. But many people suffer from more serious forms of depression. The two main clinical depression diseases are Major Depressive Disorder and Persistent Depressive Disorder. And even more severe depressive conditions include bipolar disorder and psychotic depression. Each serious and complex, their symptoms fall in a wide range of feelings and physical characteristics. Read the latest medical thinking on all types of depression – how to recognize them, how to treat them, how to live with them – in the free guide, “Am I Depressed?” Treating depression symptoms, including bipolar and clinical depression, and seasonal affective disorder. Diagnosing depression can be difficult. And the fact that depression symptoms can present themselves differently across genders, adds to the complexity. Depression often coexists with other health and mental conditions that have a higher prevalence in women. Hormonal differences and variances in displays of emotions contribute to challenges in diagnosing the disease. And your age impacts the signs you and your doctor assess in your diagnosis and treatment. 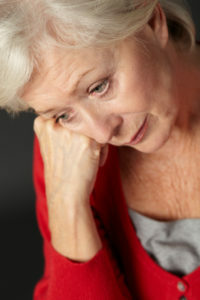 Young children, teens adults and the elderly all can express depression symptoms. Learn the details, particularly the unique signs of depression in women and me, in your free guide. Selective serotonin reuptake inhibitors (SSRIs) like fluoxetine (Prozac), citalopram (Celexa), sertraline (Zoloft), escitalopram (Lexapro), or paroxetine (Paxil). Serotonin and norepinephrine reuptake inhibitors (SNRIs) like duloxetine (Cymbalta), venlafaxine (Effexor), and desvenlafaxine (Pristiq). Reuptake inhibitors and receptor blockers like trazodone (Desyrel) and nefazodone (Serzone). Newer antidepressants that work a little differently from those listed above include bupropion (Wellbutrin), Mirtazapine (Remeron), vilazodone (Viibryd), and vortioxetine (Brintellix). Tricyclic antidepressants (TCAs) are the oldest antidepressants, and include imipramine (Tofranil), nortriptyline (Pamelor), desipramine (Norpramin), amitriptyline (Elavil), and clomipramine (Anafranil). And Monoamine oxidase inhibitors (MAOIs), also an older class of drugs including tranylcypromine (Parnate), phenelzine (Nardil), isocarboxazid (Marplan), and selegiline (Emsam, which comes in a skin patch formulation). As with any medication, it’s important to follow your physician’s instructions and understand how the drug should work. Potential side-effects, discussed in this free guide, should also be review with your doctor. In your free copy of “Am I Depressed?” Treating depression symptoms, including bipolar and clinical depression, and seasonal affective disorder you’ll also get the pros and cons of complementary and alternative therapies. What works and what’s overblown hype. St. John’s wort? The popular depression remedy can be effective for mild-to-moderate depression but the herb has side effects. Roseroot? A new study suggests it may be effective but without the troublesome side effects. Relaxation techniques? Meditation, yoga and other relaxation techniques are effective alternative methods for treating mental health issues. Omega-3 fatty acids? Definitely crucial to healthy brain function but results are mixed as a treatment for depression. B and D vitamins? SAMe supplements? Massage? Accupuncture? Light therapy? Get important information on these potential treatments to guide your discussions with your doctor from our free report, “Am I Depressed?” Treating depression symptoms, including bipolar and clinical depression, and seasonal affective disorder. If you’re suffering from depression, your inactivity and isolation can further feed your depression. As you work with your doctor on the best treatment, what can you do help ease the pain and live with your condition? Some advice from this free guide: Take it easy on yourself. Blaming yourself is not constructive. Like any disease, the most important step is seeking help and making the decision to get better. Also, work to improve your health lifestyle choices. Better nutrition and exercise habits are always a good thing. Additional ways you can take care of yourself can be found in “Am I Depressed?” Treating depression symptoms, including bipolar and clinical depression, and seasonal affective disorder. P.S. Perhaps this free guide can help a friend of loved one with depression. If you’re trying to help someone else, realize, despite your best intentions, helping someone with depression isn’t always easy. Your friend or loved one might not realize he or she is depressed or may not be willing to accept your help. Realize that you cannot “cure” that person, no matter how hard you try. All you can do is help someone recognize that there is a problem, let him or her know you care, and suggest professional help. P.P.S. Remember, while you can’t put a price on good health, this fact-filled, indispensable guide is absolutely FREE. Order your copy now! my wife, of 30 years, passed away 03/17/14. I’ve been grieving ever since…. 29 yrs. Can’t find the right meds. Norma, I really understand what you’re going through. It took nearly 25 years to get relief from my depression. I have a Dr that kept working with me until we got the right medications. I’m taking Seroquel, Pristiq ER and Remeron. I wasn’t sleeping well and asked my Dr for a medication to help and that’s when he prescribed Remeron. I thought it was a sleeping pill but come to find out it treats depression. That’s when I started feeling the best. I hope this helps. Google vitamin cure for depression. There is also a book on it by Abram Hoffer. Most people are low on essential vitamins and depressed persons need mega amounts, especially B and C. It is not quackery, it is just plain nourishment. Even obese people can be undernourished, they might look big but it isn’t nourishment, that makes them that way. Large doses of Niacin help. Start small doses of 50 mg. It is also very safe. Sun is important. Or a mood lamp. And Vit D drops. Most adults need about 6000 iu. Yes 6000, not 400! Take Vit K with it. It is very difficult to overdose on Vit D. And small doses of 5-HTP help a lot of people. Find a vitamin doctor or trained Natrophathic that specializes in vitamins. Coffee and Tea are full of caffeine. But that causes a lot of anxiety, and it isn’t worth it. Drink a little green tea in the morning but not all day or you won’t sleep well. And we all know that makes us more depressed. Alcohol just makes you weary, although ONE glass of wine might help some people. Hope this helps.